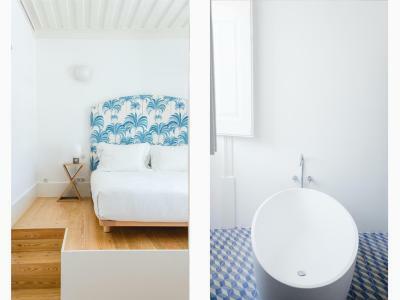 Lock in a great price for Casa Mãe - rated 9.4 by recent guests. The staff were particularly helpful and we even got a free upgrade. They made the whole experience better! I loved everything about this place after stumbling across it while wandering around Lagos and being drawn in by the calm and chilled vibe emanating from it! After enjoying some delicious lunch in the sunny courtyard while listening to great tunes and drinking delicious Vino Verde I knew it was an experience I wanted to repeat so booked in for two nights at the end of my trip. The kitchen garden was a great surprise to discover and the scent of the orange trees was heavenly! The sustainable ethos is evident throughout and every detail has been carefully thought out. The showcasing of local artisans and craftspeople work throughout the hotel is really inspiring and I came away feeling so inspired and happy from my visit. Great food, lovely welcoming staff and beautiful surroundings - what more could you want. Modern hotel in a beautiful setting. Staff very efficient and welcoming. Would highly recommend the restaurant.The food was outstanding. Very cool vibe, everyone was friendly. Well located. Great facilities. Casa Mae serves the best breakfast we ever had in a hotel. The staff was beyond friendly, but in a real way. 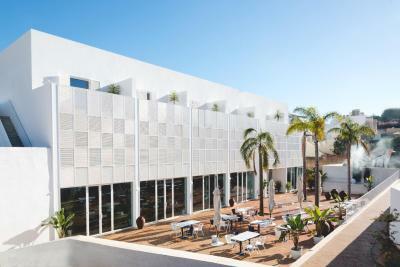 Every little detail is thought of, this must be the nicest hotel in the whole of Portugal! Very stylish, quiet and relaxing hotel. Friendly staff and beautiful freshly prepared food. Bedroom facing the street had sun on the balcony from first thing in the morning and was lovely and quiet. Just a short walk to the shops, restaurants and beaches. The room was beautiful, well equipped with a luxurious bath in the room and huge bed. It is cozy and comfortable. Everything is so modern and brand-new. Staffs are all friendly. 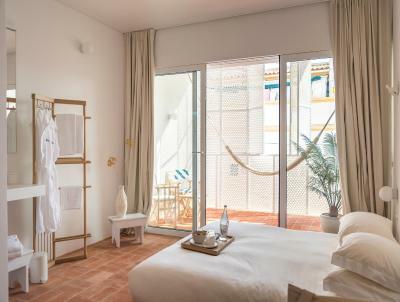 We loved our time at Casa Mae, from its stylish interior to its great vibe and extremely welcoming and friendly staff, we had an exceptional time there! Our room was beautifully designed, we loved all the attention to detail across the property and it’s wider ground. It was my birthday during our stay, and we were looked after so attentively and thoughtfully. We received absolute top service from the moment we walked through the door and were greeted with a welcome drink and introduction to the hotel and the area. The breakfast, dinner and coffee was equally exceptional, and we felt we truly feasted on healthy, fresh, home grown produce during our stay. It was an all around treat! Set 450 yards from Lagos Live Science Center, Casa Mãe in Lagos offers a seasonal outdoor swimming pool and garden. 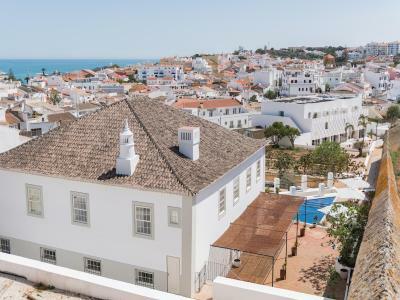 Built in 2016, the property is within just 0.7 miles of Santa Maria Church and 750 yards of First European Slave Market. Free WiFi is available. At the hotel, rooms are equipped with a desk. 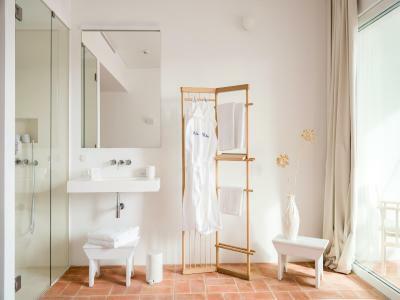 Casa Mãe provides some rooms that include sea views, and all rooms include a private bathroom and a wardrobe. A continental breakfast can be enjoyed at the property. There is an in-house restaurant, which serves Mediterranean cuisine and also offers vegetarian and vegan options. Languages spoken at the 24-hour front desk include English, Spanish and Portuguese. Dona Ana Beach is 1.6 miles from Casa Mãe, while Lagos Marina is 1.6 miles from the property. 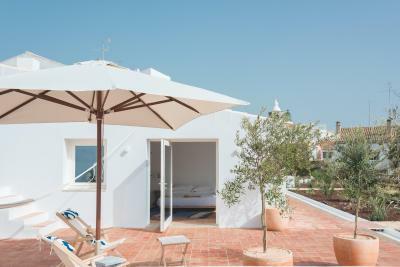 Faro Airport is 52.2 miles away, and the property offers a paid airport shuttle service. This is our guests' favourite part of Lagos, according to independent reviews. 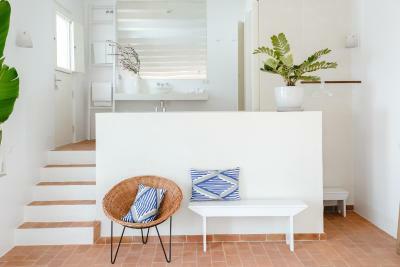 Casa Mãe has been welcoming Booking.com guests since 11 Nov 2016. 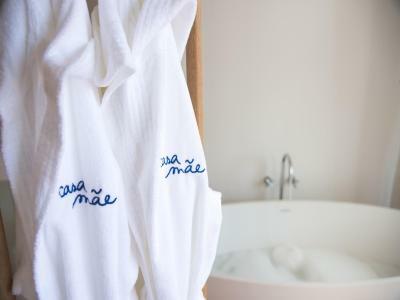 When would you like to stay at Casa Mãe? This double room has a bathrobe, iPod dock and private entrance. 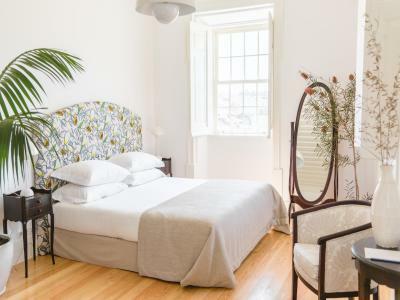 This double room features a private entrance, bathrobe and soundproofing. This double room has air conditioning, private entrance and minibar. This double room features a soundproofing, minibar and bathrobe. House rules Casa Mãe takes special requests - add in the next step! Casa Mãe accepts these cards and reserves the right to temporarily hold an amount prior to arrival. Food smell in the corridors and restaurant from the main kitchen. Slow breakfast service. Hotel really accommodating - early check in and Kate check out. They made it special for my husband birthday. We really enjoyed the stay - very relaxing and great ambience. There was pool maintenance while we were there, but this was remedied by the staff letting us use the spa pool instead. Everything was wonderful and the staff were amazing! So helpful with everything! The price is very high for what you get. No gym at all, a rather small spa & not a super nice view. The atmosphere is nice, very friendly & helpful staff. The decorations are nice. It is a bit pricey but worth it. Storage place was insufficient. Bed cover was too thin and no blankets provided. Food was excellent and the surroundings lovely. Our room was facing the street where unfortunately opposite a house was being renovated. The balcony was overlooked by builders and we were woken early on our first day by shouting and construction noise. The staff on reception very kindly let us move to a room overlooking the courtyard which had the bonus of being south facing! 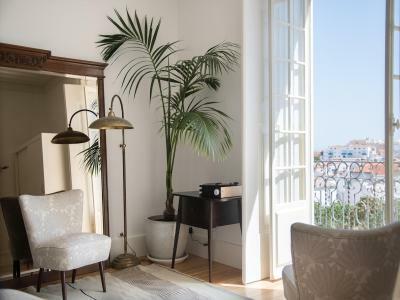 I would say go for a room looking over the courtyard if you can as it's much nicer to have afternoon sun on the balcony and feels more private. Low beds, looks great but for older people harder to get into and out of. They have a "gym" but it's more or less a yoga room. I really wish they had a true workout facility, even if it was just a small one! I loved everything about this place! Extremely friendly and helpful staff. Amazing on-site farm-to-table restaurant with delicious breakfast and dinner. Decor and overall ambiance was excellent! Also, you can walk around the entire property which is gorgeous! Will definitely be coming back! This a nit but there should have been more clothes hangers in the room and in-room tea/coffee would have been a very valuable addition. Very nice property in a quiet corner of town with parking within very easy and short walk. Excellent garden which supplies the farm to table kitchen where their chefs cook up some really good dishes. The entire hotel staff was very warm and helpful to a person!